The Palomar Observatory, located in north San Diego County California, is owned and operated by the California Institute of Technology. The Observatory supports the research of the Caltech faculty, post-doctoral fellows and students, and the researchers at Caltechs collaborating institutions. Palomar Observatory is home to the historic Hale 200-inch telescope. Other facilities on the mountain include the 60-inch, 48-inch, 18-inch and the Snoop telescopes. 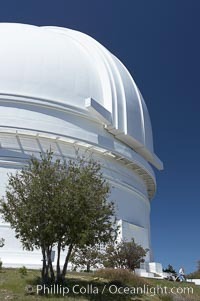 Palomar Observatory Photo. 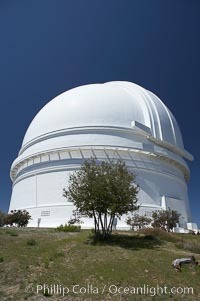 The Palomar Observatory, located in north San Diego County California, is owned and operated by the California Institute of Technology. The Observatory supports the research of the Caltech faculty, post-doctoral fellows and students, and the researchers at Caltechs collaborating institutions. Palomar Observatory is home to the historic Hale 200-inch telescope. Other facilities on the mountain include the 60-inch, 48-inch, 18-inch and the Snoop telescopes. Palomar Observatory Picture. The Palomar Observatory, located in north San Diego County California, is owned and operated by the California Institute of Technology. The Observatory supports the research of the Caltech faculty, post-doctoral fellows and students, and the researchers at Caltechs collaborating institutions. Palomar Observatory is home to the historic Hale 200-inch telescope. Other facilities on the mountain include the 60-inch, 48-inch, 18-inch and the Snoop telescopes. 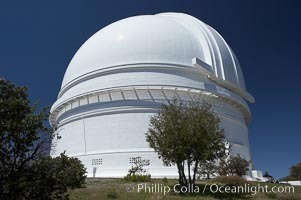 Stock Photography of Palomar Observatory. 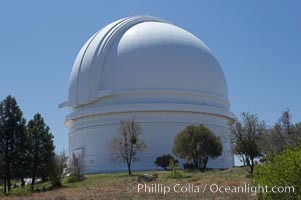 The Palomar Observatory, located in north San Diego County California, is owned and operated by the California Institute of Technology. The Observatory supports the research of the Caltech faculty, post-doctoral fellows and students, and the researchers at Caltechs collaborating institutions. Palomar Observatory is home to the historic Hale 200-inch telescope. Other facilities on the mountain include the 60-inch, 48-inch, 18-inch and the Snoop telescopes. 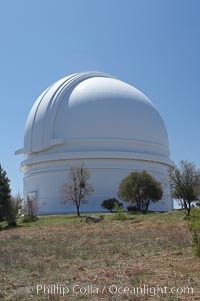 Photograph of Palomar Observatory. The Palomar Observatory, located in north San Diego County California, is owned and operated by the California Institute of Technology. The Observatory supports the research of the Caltech faculty, post-doctoral fellows and students, and the researchers at Caltechs collaborating institutions. Palomar Observatory is home to the historic Hale 200-inch telescope. Other facilities on the mountain include the 60-inch, 48-inch, 18-inch and the Snoop telescopes. Palomar Observatory Photos.